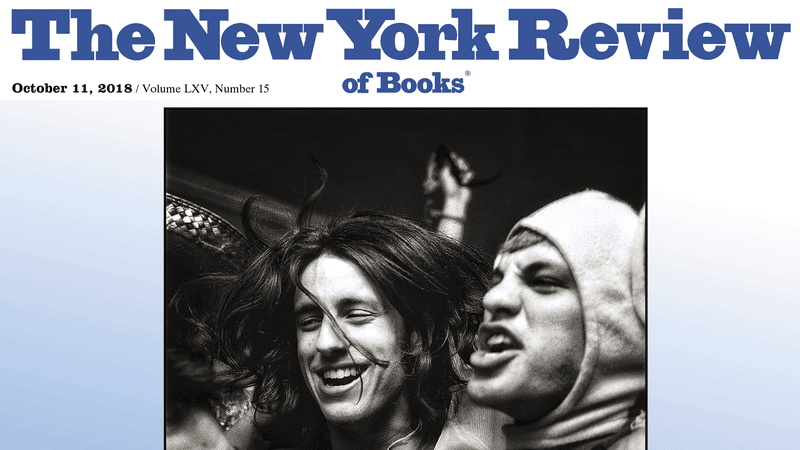 More than a hundred contributors to The New York Review of Books have issued a statement protesting the departure of former editor Ian Buruma, according to tweets by New York Times reporter Cara Buckley. Buruma left the position less than a week after the NYRB published the online version of its October cover story, a personal essay by former Canadian radio host Jian Ghomeshi detailing the “humiliation” of being accused by more than 20 women of sexual assault and intimate partner violence. (Ghomeshi was later acquitted of several charges.) In a subsequent interview with Slate, Buruma defended Ghomeshi’s “Reflections on a Hashtag” and his role in its publication. Within days, it was announced that Buruma would be leaving the NYRB, though it was unclear whether he was fired or resigned of his own volition. In an interview with the Dutch magazine Vrij Nederland, Buruma said he felt forced to resign as a “capitulation to social media.” “I have now myself been convicted on Twitter, without any due process,” he added. The 110 NYRB contributors who issued a statement on Monday believe that Buruma was forced to resign following the public backlash to Ghomeshi’s essay. “We find it extremely troubling that the public reaction to a single article…should have been the occasion for Ian Buruma’s forced resignation,” they wrote in a statement issued Tuesday. Among those contributors behind the statement are Gina Alhadeff, Anne Applebaum, Lisa Appignanesi, John Banville, Geremie Barmé, Louis Begley, Richard Bernstein, Alfred Brendel, Ariel Dorfman, Janet Malcolm, Linda Greenhouse, Joyce Carol Oates, Philip Lopate, Ian McEwan, John Banville, Luc Sante, Lorrie Moore, George Soros, Michael Ignatieff, Harry Shearer, Andrew Solomon, Colm Tóibín, Robert Worth, and James Wolcott. On Monday, the NYRB’s remaining editors issued a statement, published in The New York Times, contradicting Buruma’s account. The statement acknowledged the “failures in the presentation and editing” that went into Ghomeshi’s piece.